Bee Spi V Gauge. This equipment is designed for experimentation of velocity and acceleration in free fall motion and others. 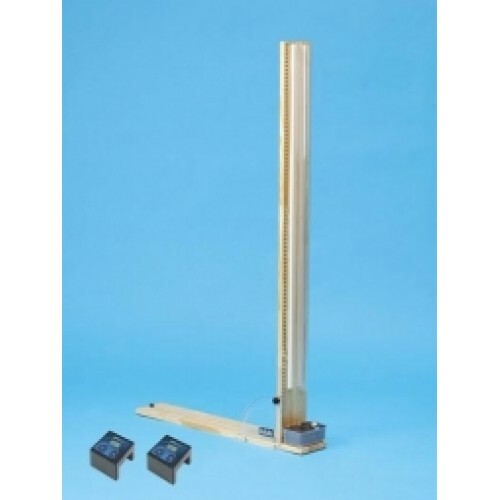 The experimental condition of an object's motion is adjustable to multiple angles not only for free fall but also for slope motion on the angle.When using two BeeSpi V's with this equipment you can measure the acceleration by calculating V1 and V2. Specifications: 1100mm x 100mm x 143mm.